April showers bring May flowers. They also bring wet, damp and mud. It is a struggle for all equine enthusiasts to keep their horses clean and their grounds tidy. While the horses may enjoy romping in the mud and the muck, it provides husbandry and maintenance challenges for their care givers. Anyone who has been around horses for a while has encountered pastern dermatitis. Pastern dermatitis, commonly known by most as scratches, greasy heel or mud fever, is most prevalent in wet muddy conditions, like those seen in the spring time. It is a common skin reaction among all horses, but those with white legs or heavy feathering are usually more severely affected. The skin irritation is most frequently seen along the back of the horses pasterns, but can extend up the horses lower legs as well. It can involve one leg or up to all four legs and can be quite painful. The lesions cause redness, inflammation and scaling. Thick scabs form and serum will ooze from them, making them sticky and matting the hair. Under the scabs are ulcerated areas of skin. The term pastern dermatitis describes the condition, but does not describe a specific cause for the affliction. There are multiple causes of the disease, including bacterial infection, mites, fungus, caustic chemicals and photo sensitivities. Skin can become weakened from being chronically wet and muddy and may predispose the horses to skin infections. Prevention can often be achieved by keeping a horse’s feathers short while it’s wet and muddy out, and keeping horses in dry stalls, or at least cleaning their legs and thoroughly drying them after turnout. So prevention didn’t work and your horse now has pastern dermatitis. Treatment is often a multi-step process. The areas affected should have excess hair clipped to avoid moisture retention and to allow access to the infected skin. Washing the legs with a chlorhexidine based solution or medicated shampoo and gently removing the scabs will need to be done next. Care should be taken while removing scabs as this is often painful for the horse and it may result in them kicking. Soaps should be left on for 10-15 minutes to loosen the scabs before trying to remove them. Once the scabs are removed, the skin should be rinsed with warm water and thoroughly dried. There are a number of topical medications that can be used on the raw skin. Choosing a product that is antibacterial, anti-inflammatory and provides a moisture barrier is key. Washing the legs with soap and water should be kept to only a few times a week, to avoid further irritating the already sensitive skin, but the topical medications should be applied daily. If the pastern dermatitis is severe enough the horse may need antibiotics and systemic anti-inflammatories to go along with the topical treatments. If you can, keep the horse in a dry stall or run in shed until the skin is fully healed. Try to reduce the amount of mud and standing water in pastures and turnouts, which can be easier said than done! Recurrent cases of pastern dermatitis can be frustrating for owner and veterinarian alike and a definitive diagnosis should be sought out in these cases. 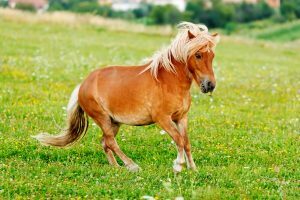 Some horses have immune mediated conditions that cause the disease and blood work and biopsies can be performed in cases where the usual treatments are failing to resolve the problem. With any good in life there is always some bad to go along with it. Spring brings about warmer days, blossoming flowers and new beginnings. If you’re up to your ankles in mud and busy treating your herd for scratches, try to take a minute to enjoy the changing season and remember this too shall pass!